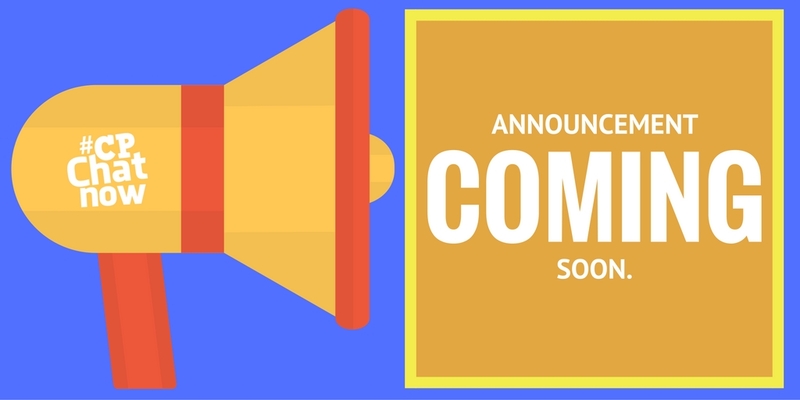 Wednesday, December 28th closed out our third complete year filled with Twitter chats. 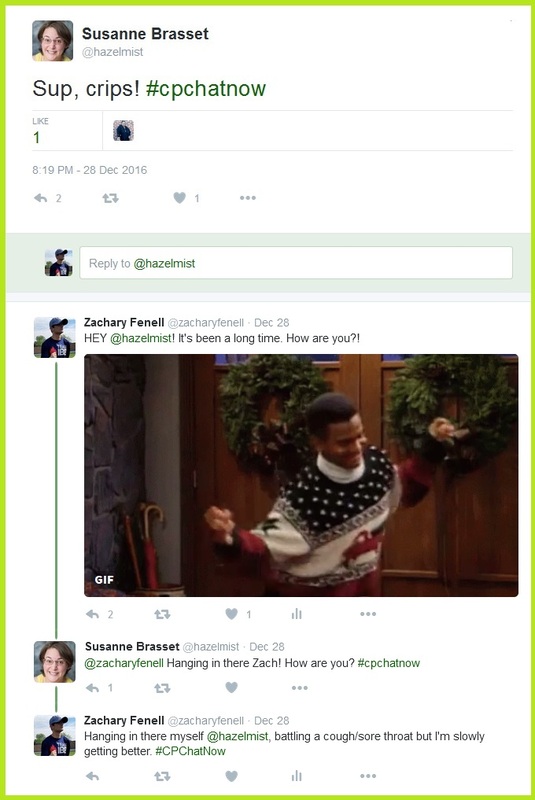 I am co-host Zachary Fenell, here to recap our final 2016 Twitter chat. Long-time regulars enjoyed seeing a familiar face surface once again. 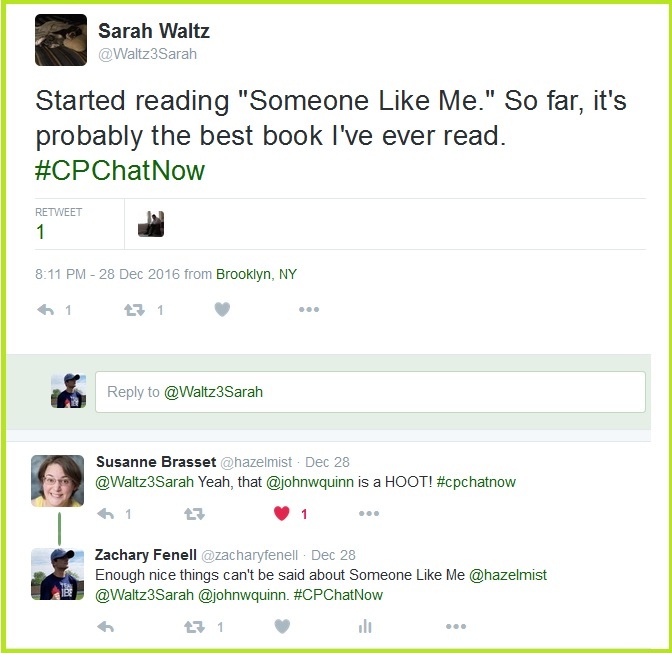 Susanne‘s humor remained a missed entity from #CPChatNow. Even those on the receiving end to her sarcasm enjoyed Susanne’s presence. 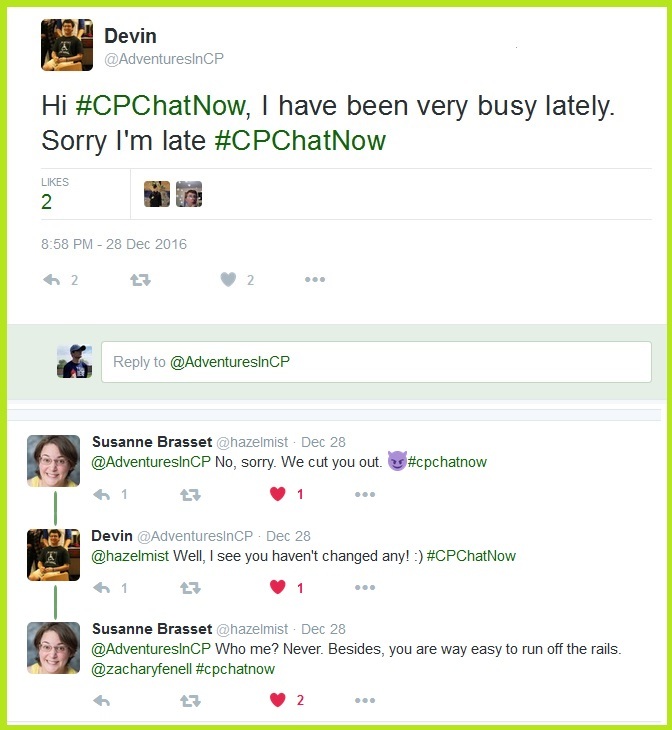 On a personal note, I am pleased to see #CPChatNow adopt such an attitude. As an original co-founder I witnessed much transition the last three-plus years. Yet we continue to remember and respect our past. For example, take the praise given Wednesday to former co-host and #CPChatNow co-founder John W. Quinn. 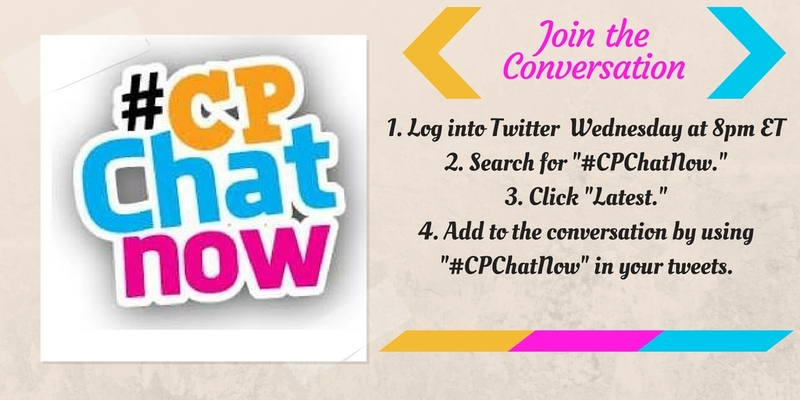 Fittingly enough #CPChatNow stands at another transition point. My current co-host Blake Henry will spend the first half to 2017 studying abroad in Spain. Consequently the time difference will limit Blake’s ability to participate in the Twitter chats. Hence last week’s announcement promoting chat regular Devin to interim co-host. Suspecting individuals might possess questions about his upcoming adventure, Blake made himself available to chat December 28th. Meanwhile I asked a question designed to encourage others to think about their 2017. Leave your reply in the “Comments” section below. Finally, let me take a moment to thank you. 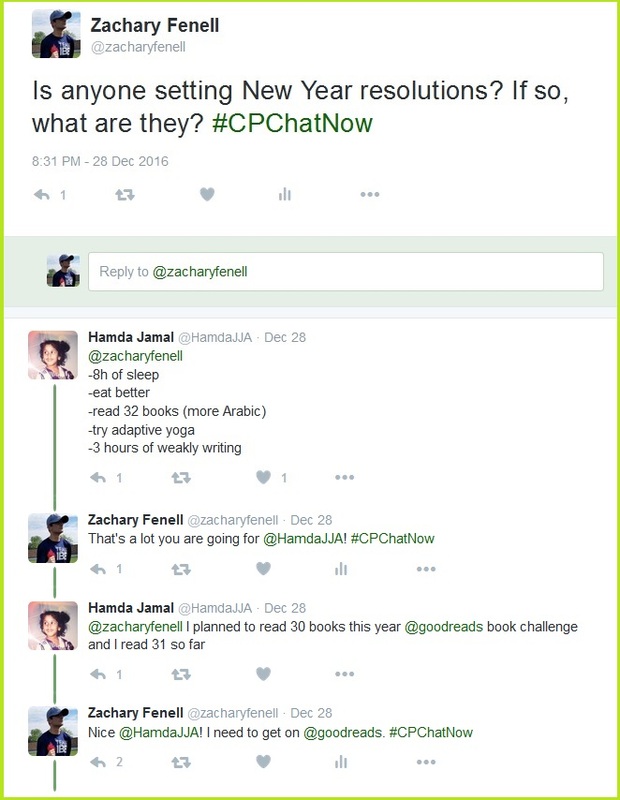 With your help #CPChatNow enjoyed a second straight banner year! 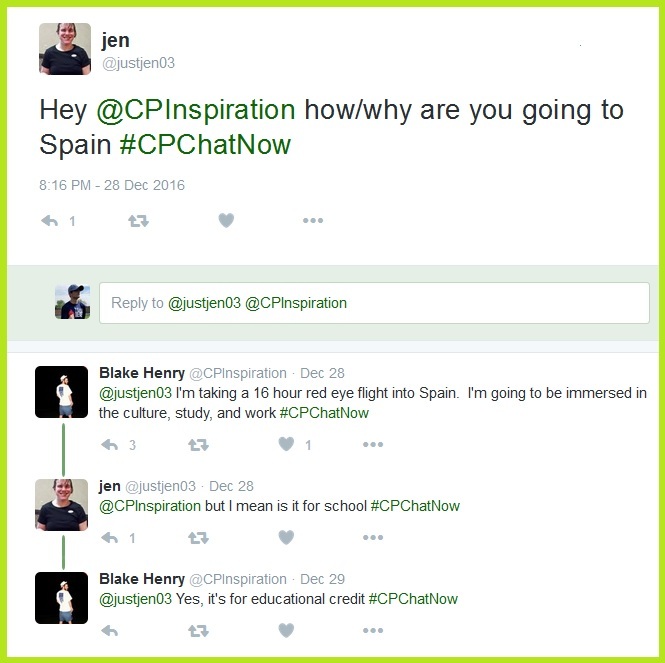 Besides 11 focus chats and monthly Google Hangouts this year saw new members join the community, our website launch, and #CPChatNow apparel created. The latter you can still purchase during our “#CPChatNow T-Shirt and Winter Apparel” sale. Profits from our shirt sales go to the non-profit Keep On Keeping On Foundation. To date our summer and winter sale raised nearly $158.00. 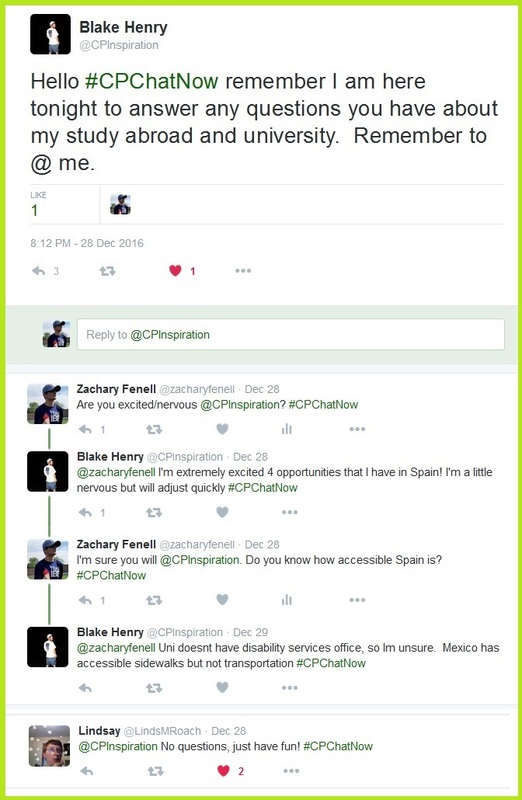 Enable us to add to that total and go ahead buy your own #CPChatNow t-shirt or winter apparel. 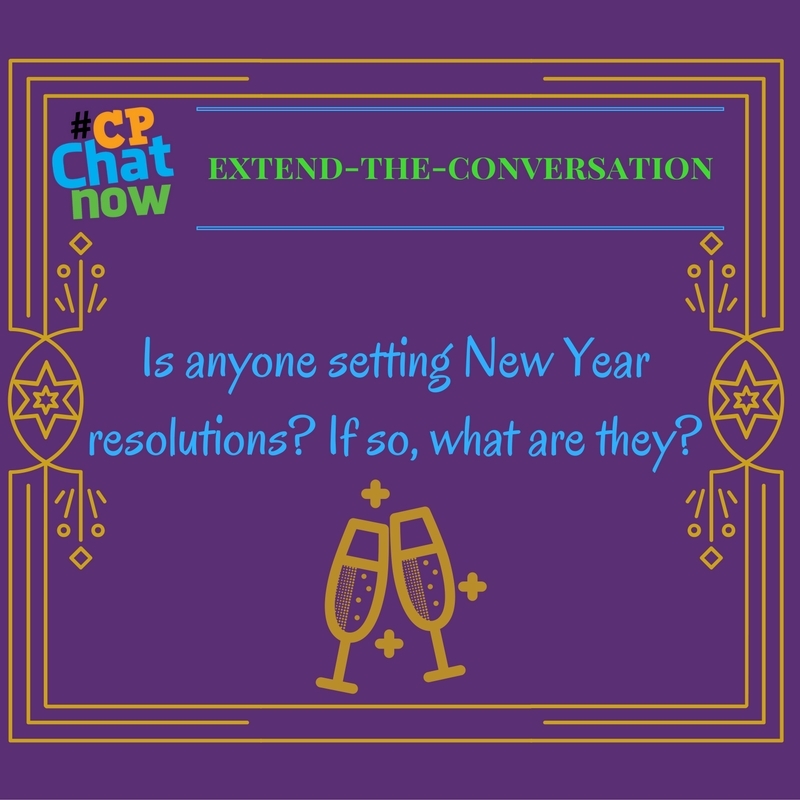 First, before you go shop #CPChatNow apparel answer the extend-the-conversation question. Answers go in the “Comments” section. Talk with you in 2017! This entry was posted in Weekly Recaps and tagged community, john quinn, new year, someone like me. Bookmark the permalink.